You'll be £16.99 closer to your next £10.00 credit when you purchase English Electric Canberra. What's this? This amazing aeroplane first flew in 1949, and as at 2005, is still in front-line service with the RAF. It has served in a variety of roles including those of medium conventional bomber, tactical nuclear bomber, photo-reconnaissance, night intruder, navigational trainer, maritime strike, electronic countermeasures, atomic cloud sampling and target-towing. It was manufactured in the USA under license as the Martin B-57, and in Australia under liscence as the Canberra B-20. It has been exported to Argentina, Chile, France, Germany, India, Peru, Sweden, Venezuela, South Africa and other Commonwealth countries. This book looks at the development of the aircraft during the early days of jet power and especially at its Rolls-Royce Avon power-plant. It was Britain's first jet bomber. Each of the many marks and variants are described and illustrated by many remarkable and rare photographs. The type's record of service with RAF squadrons throughout its service life is given together with descriptions of the many experimental models that were used in the development of a variety of weapons and avionic systems. This is a useful review of the development of a classic jet bomber that saw widespread service in the Royal Air Force and was exported to many overseas air forces. 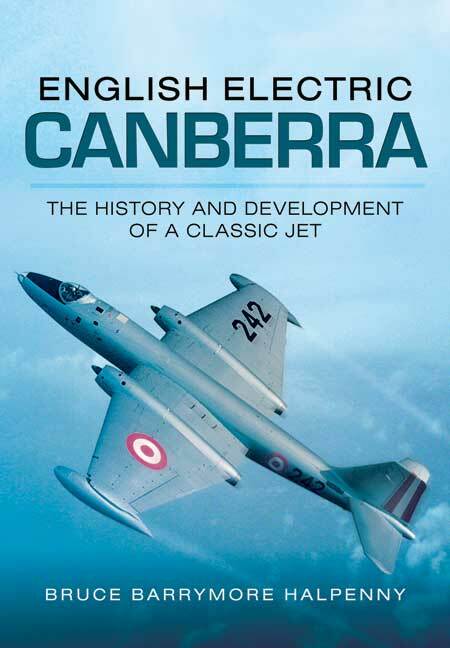 For an aircraft that has been the subject of countless books, the author still found a remarkable wealth of previously unpublished material on Canberra operations. A classic aircraft given the proper coverage it so richly deserves. A wonderfully researched tribute to this remarkable achievement, with a plethora of excellent photographs... Essential reading for any aviation enthusiast.